(Natural News) Fungal diseases are a worldwide public health problem. Oftentimes, the treatment for these diseases are antibiotics. However, the use of antifungal medications are not entirely beneficial. The continuous use of antibiotics led to the increase in drug-resistant fungal infections, making them more difficult to treat. In addition, these drugs have side effects on health and are costly. Therefore, there is a need to develop effective, safe, and affordable antifungal agents from natural sources – and one of them is honey, which is known for its therapeutic effects. A study found that honey has similar antifungal properties as antifungal drugs, but is cheaper and without side effects. A team of researchers from the University of Peshawar, Quaid-i-Azam University, and Hazara University Mansehra in Pakistan carried out out an investigation on the antifungal activities of five different types of honey from Pakistan against different pathogenic fungal strains, such as Aspergillus niger, Aspergillus flavus, Aspergillus fumigates, Alterneria alternata, Fusarium solanai, Microsporum canis, Penicillium funiculosium, and Rhizopus solanai. For the study, the research team used different dilutions of honey samples: 20 percent, 50 percent, 70 percent, and 100 percent. This was done to identify the minimum effective concentration of every type of honey. The results of the study revealed that all of the honey samples were extremely active, with percent of inhibition range of three to 81 percent for Aspergillus niger, two to 82 percent for Aspergillus flavus, one to 76 percent for Aspergillus fumigates, one to 84 percent for Alterneria alternata, two to 67 percent for Fusarium solanai, one to 87 percent for Microsporum canis, two to 78 percent for Penicillium funiculosium, and one to 86 percent for Rhizopus solanai. In conclusion, the research team suggested that the types of honey in Pakistan contain a significant antifungal nature. Thus, these honey types can be utilized in treating fungal infections. The study implied that honey can potentially be used as an alternative treatment for fungal infections that is cheaper and safer with no side effects. The researchers also observed that the antifungal effects of honey strengthened as the concentration of honey increased. In addition, they discovered that the effectiveness of the antimicrobial properties of honey depend on the floral origin of honey as well as how it was processed. Honey is a natural, sweet liquid made by bees from the nectar of flowers, which is essential in sustaining and nourishing bee colonies. Its texture and flavor varies, depending on which flowers the honeybees choose to collect from. Typically, honey is composed of 40 percent fructose; 30 percent glucose; and the remaining 30 percent are water and minerals, such as iron, calcium, potassium, and magnesium. 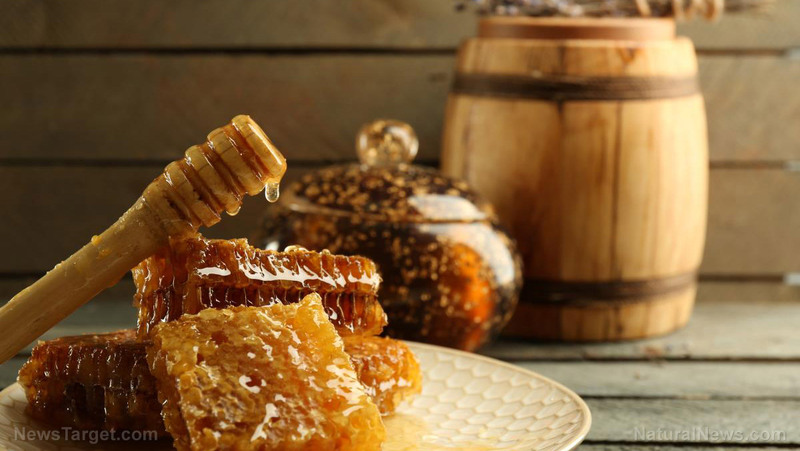 Based on ancient writings, honey has been used for its nutritional and medicinal properties. However, its health benefits also depend on its processing and the quality of the flowers the honeybees collect pollen from. Raw honey, which is unprocessed, typically maintains more nutrients compared with processed ones. For years, honey has been topically used as a disinfectant. It is believed to boost the healing process of mild, superficial wounds, ulcers, and burns. Read more stories on the health benefits of honey at Bees.news.